Extra Virgin Olive Oil (EVOO) contains numerous health benefits that make it one of the healthiest oils in the world. These qualities, including phenolic antioxidants, anti‐inflammatory properties, and properties that protect against cardiovascular diseases, have made EVOO increasingly popular in recent years. As a result, fraudulent oils have found their way into the market in order to capitalize on EVOO’s increasing popularity. Some lower quality versions can be extracted using chemicals, or even diluted with other cheaper oils. Because of this, buying the right type of oil and knowing what to look for is extremely important. What should you look for when selecting a high-quality EVOO? 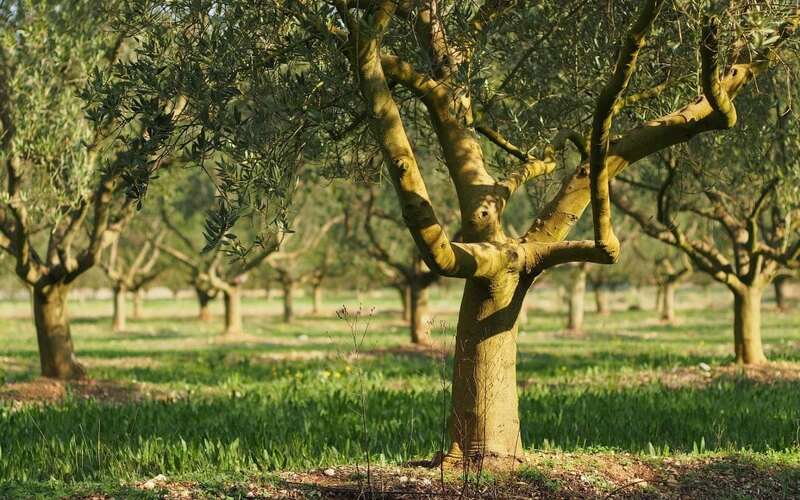 There are a few things to take into consideration when selecting a high quality EVOO. It is first important to note that olive oil is a fruit juice and therefore a perishable item. Quality oils will have an expiration date stamped on the bottle 2 years from the harvest date in order to ensure the freshest experience for the consumer. Look for EVOO’s that display a ‘best by’ date no more than 2 years in the future. When selecting a bottle extra virgin olive oil, be sure to choose a dark bottle that protects against light, an enemy of olive oil. It is also helpful to use the olive oil quickly and keep it in a cool dark place to guard it from perishing more quickly. A darker bottle also conceals the color of the oil which has no bearing on the overall quality. Good qualities come in all shades. Bitterness or pungency are excellent indicators of true extra virgin olive oils as these mark the presence of healthful antioxidants, anti‐inflammatory properties and other healthful components of top‐quality olive oil. In short, seek out freshness, choosing oils that smell and taste bright, vibrant and lively, and have a mouth feel that is crisp and clean. Finding the olive oil that is best for you can be a culinary adventure and exploring a number of varietals will help in selecting the olive oil that works best for you! Remember, there are over 700 different varietals of olives. No one particular varietal is best. It’s all about finding the type that works best for your particular need and unique palette. Making true extra virgin olive oil is an expensive and time consuming process. This means that more so than ever, in the case of olive oil, you get what you pay for. Bargain olive oils are almost always not what they say they are. This doesn’t mean it’s necessary to buy the priciest oil on the shelf however. Looking at all of the other markers of a high quality oil in conjunction with the price point will help in selecting the best quality oil for your needs. A quality extra virgin olive oil will have an acidity under 0.8%. Olive oil under this acidity has been produced to the highest standard making it a more stable oil. This standard ensures that the olive oil has been extracted from a healthy and fresh fruit and has been obtained through non aggressive methods. It also certifies a minimum breakdown process resulting in an acidity level under 0.8%. Extra virgin olive oil has been the bench mark of the Mediterranean diet — arguably one of the healthiest lifestyles in the world boosting reduced incidents of cancer, heart disease, Parkinsons and Alzheimer’s. 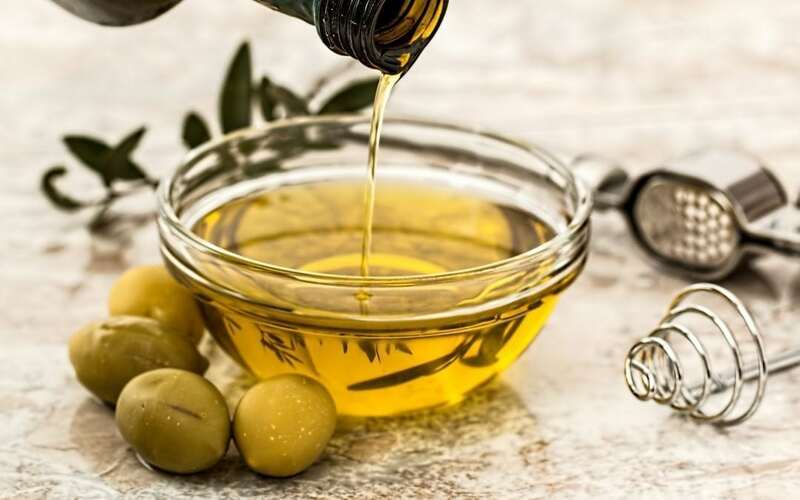 By incorporating a diet rich in the monosaturated fats among other healthy components found in olive oil, we can lower the risk of chronic disease while simultaneously increasing our life expectancy. 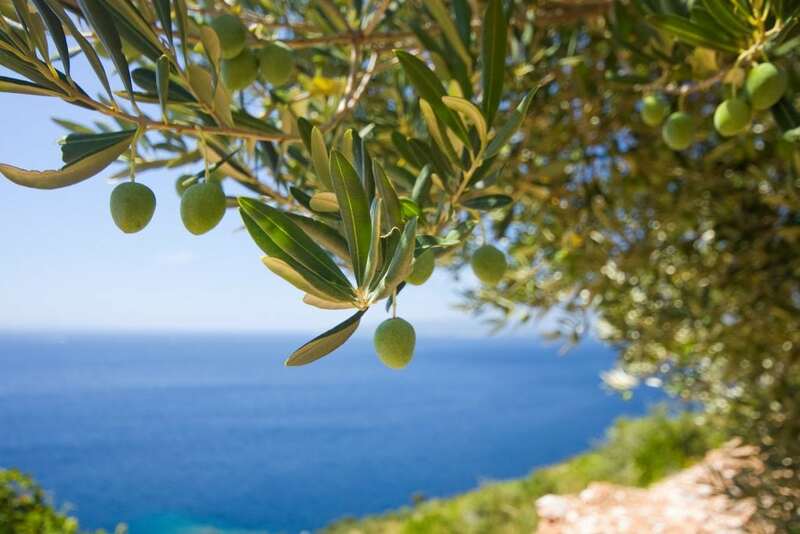 Let’s take a look at some of the amazing health benefits EVOO has to offer. Extra virgin olive oil contains properties including oleic acid, as well as the antioxidant oleocanthal which have been linked to reducing cancer, cardiovascular disease, metabolic syndrome, diabetes, Alzheimer’s, arthritis and even obesity. Oleocantha also helps in preventing the production of pro‐inflammatory enzymes, the same way ibuprofen works. Extra virgin olive oil contains powerful antioxidants which are helpful in preventing damage to the cells caused by free radicals. This powerful antioxidant activity is what gives EVOO its bitter taste. The biologically active antioxidants found in olive oil have also been shown to reverse disease related memory deficiencies and improve brain function. About 73% of fatty acids in extra virgin olive oil are a monosaturated fat called Oleic acid. This fatty acid is extremely healthy and is believed to help reduce inflammation, and may have beneficial effects on genes linked to cancer. Monosaturated fats in EVOO have also been shown to reduce cholesterol and blood pressure. These monostaurated fats are highly resistant to heat as well, making EVOO a healthy choice for cooking. Olive oil has been shown to protect against heart disease by lowering blood pressure and protecting LDL particles from oxidation. By lowering inflammation, improving the function of the lining of the blood vessels, and possibly helping prevent unwanted blood clotting, EVOO is a major asset in combating major heart illness related issues. Nutrients found in olive oil can inhibit or kill harmful bacteria that live in the stomach which can cause stomach ulcers and stomach cancer. A recent study found that a mere 30 g of extra virgin olive oil taken daily can kill the H. pylori bug in up to 40% of people in just 14 days. EVOO has also shown to be effective against eight strains of this bacteria, three of which are resistant to antibiotics. In addition to the vast array of culinary uses for EVOO, there are numerous alternative applications olive oil can be used for. Because of its high concentration of mono‐unsaturated fats, anti‐inflammatory agents, omega‐3 fatty acids, antioxidants, and vitamins, EVOO serves numerous alternative applications in addition to its culinary uses. EVOO can be used along with sugar or salt as an exfoliator for softer more supple skin. Control frizzy hair by combing a dab of olive oil through your scalp and ends. This application also helps diminish dandruff. Olive oil is a natural moisturizer that can be used as an alternative to shaving cream, and as a remedy for dry feet and lips. The anti‐inflammatory and antioxidant properties of EVOO make it an excellent treatment for healing acne. EVOO is rich in vitamin E and other antioxidants helping to heal and prevent diaper rash by combating different kinds of inflammation and irritation. Extra virgin olive oil has taken the cocktail movement by storm. EVOO can easily blend with vodka and gin‐based drinks to add a luscious, fruity twist. Liven up cocktails and add some healthy benefits to your drink! Understanding what makes extra virgin olive oil so beneficial and knowing what to look for will help ensure a top quality purchase. With some basic knowledge of true extra virgin olive oil, it is possible to experience the culinary and healthy benefits this incredible oil has to offer. Amanda has worked in the food and beverage industry for 15 years and is the co‐founder of House of Spain Olive Oil. Her passion for high quality ingredients has taken her around the world in search of “the perfect dish”. She currently resides in Portland, OR where she works to promote its progressive food culture while finding shelter from the rain. *The opinions expressed in this article are the author’s own and do not reflect the view of Wildwood Grilling. This information is solely intended for general information and is not intended to offer personal medical advice, diagnose health problems or for treatment purposes.